Are you looking for distributors capable of developing your frozen foods market? 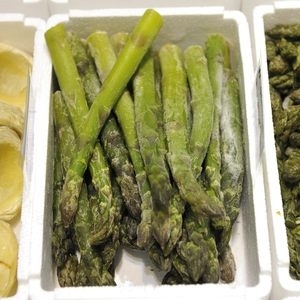 Do you want to highlight your innovative frozen foods? SIAL Paris will help you to meet buyers from all over the world and to raise your international profile. 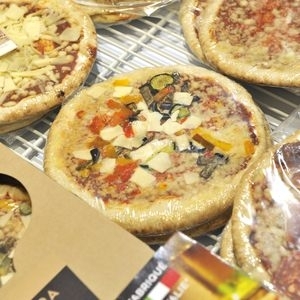 An exhaustive array of frozen foods is exhibited at SIAL Paris: aromatic herbs, breads, cakes and desserts, fish, fruits (coulis, fruits, purées), game, ice creams and sorbets, instant meals, meat, molluscs, pastries, pizzas, potatoes, poultry, shellfish, vegetable mixtures, vegetables of all types, and more. DIVINO USA INC.’s Gelato Filled Fruit (USA): Original frosted fruit in a pack so it can be consumed on the go, with spoon included. GMO-free Made in Italy. PINGUIN’s Cauliflower Rice (BEL): Cauliflower-based rice substitute, low in carbohydrate. Pulled Chunks / frozen range de vegini by VeggieMeat GmbH (AUT): 100% vegan shredded meat substitute. Made from pea protein. High in protein and fibre. Retail: Aeon (JAP), Ahold (DEU), Albert Heijn (NLD), Aldi (DEU), Amazon (USA), Auchan (FRA), Carrefour (FRA), Casino (FRA), Costco (USA), Delhaize (BEL), Edeka (DEU), Haagen Dazs (ESP), Leclerc (FRA), Lidl International (DEU), Metro (DEU), Rewe (DEU), Seven Food (JAP), Tesco (GBR), The Kroger (USA), Wal-Mart (USA), Coles (AUS), Woolworths (AUS).